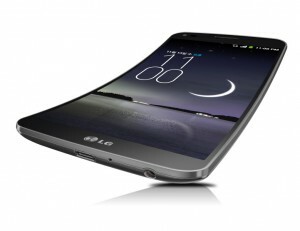 LG has announced its curved smartphone, the G Flex. It’s curved top to bottom, and the company claims better ergonomics when making phone calls. The video experience seems to be also more immersive as it produces an IMAX effect when the device is held on the horizontal direction. It also includes a “swing lock screen” feature, which produces different unlocking effects when touching different areas of the screen. As the leaks had revealed, G Flex uses flexible OLED screen technology to offer an impressive curve on the horizontal axis. It has 6 inch, a 720 x 1280 resolution display (244 ppi) and weighs 177 g. The smartphone is powered by a 2.26 GHz quad-core Snapdragon 800 processor and 2 GB or RAM. It has 32GB of internal storage and Bluetooth 4.0. The battery is another remarkable feature. It’s the world’s first curved battery, designed especially for application in LG G Flex. The battery shows an improved stability and performance, and has a capacity of 3500 mAh. 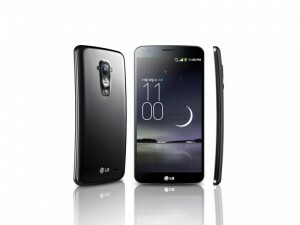 This curved smartphone also includes is a 13 megapixel rear camera and high-fidelity audio. The overall design follows the style of the G series devices, including the rear-mounted buttons included on the LG G2. The G Flex is running Android 4.2.2 with some LG’s software customizations, some of them adapted to take advantage of the curved screen (although is not still clear which features could be). The most unusual feature, however, it’s the “self-healing” technology that LG uses in the G Flex smartphone. The back cover has a special protective film which can get rid of scratches within minutes. The company describes the effect as similar to Wolverine from X-Men. The phone will be available in South Korea next month, but we will have to wait to see it, as there aren’t any details of an international release. No information has been provided either about the price, but it’s expected to be high.